Now that the dust has settled behind the annual Budget tamaasha, it is perhaps useful to go beyond the detailed number crunching to try and get a glimpse of what lies beneath - what is the mind set governing economic policy making in India today and what are its implications for us, the people on the street. Towards this end, an examination of the Economic Survey (ES) 2016 can be a useful exercise as it purportedly reflects the approach, attitude and intention of those who determine the direction and details of economic policy in India. A first reaction is that this document should be compulsory reading for all students of economics; indeed for all those interested in understanding the Indian economy in some depth. There is data a-plenty and detailed analysis of many important issues, a careful study of which is enormously educative. There are the inevitable purple patches that sarkari enthusiasm generates - "India is still oozing potential." - but an enormously valuable document, nonetheless. Why should expectations be bad? That said, the very first paragraph talks approvingly about policy "incrementalism" and the second mentions the need for a "recalibration of expectations". In a democracy characterised by gross inequality, extensive poverty and illiteracy, the voter is empowered with little more than her vote and once that is cast to award an overwhelming mandate, gradualism is hardly what is expected in return! "Moreover, since the official poverty line is itself set at the subsistence level, many among the officially non-poor are far from having a comfortable existence. Therefore the need for sustained and accelerated growth, which is progressively more inclusive in its impact, remains acute." (Bhagwati and Panagariya, India's tryst with destiny, page 119). We have been "gradual" and "incremental" enough since 1980 when the growth story started. Do we not need to do something different, now? The Survey repeatedly emphasises the seeming helplessness of the establishment in the face of strong vested interests. It underscores the grossly inefficient, expensive and iniquitous nature of the fertiliser subsidy - a fact well known - but remarks that it "... has proved politically impossible to close the inefficient firms or eliminate the canalisation of imports." It further reminds us of "... the entitlement that farmers, especially rich farmers, have internalised and the power of their voice in preventing reform". The power of vested interests is remarked upon as is the weakness of institutions, especially legal and bureaucratic, and the difficulty in phasing out entitlements. Also read - Let's come to the point. 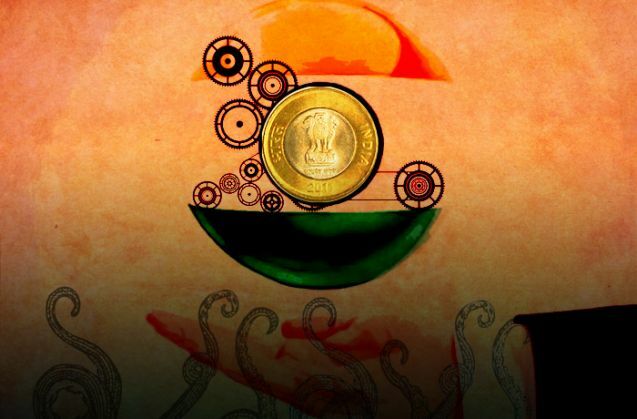 Will the Budget revive the economy? It is, of course, essential to acknowledge the existence of a problem before steps to eliminate it are taken. But that is what is missing - not always in the ES, but more importantly in policy pronouncements including the Budget. As regards the fertilizer subsidy, for example, the best policy offering is a trial run for Direct Benefit Transfers (DBT) to poor farmers. However, despite the Jan Dhan Yojana's "blistering, record setting pace..." the "basic savings account penetration in most states is still relatively low - 46% on average and above 75% in only two states (Madhya Pradesh and Chhattisgarh)". Thus DBT is just a token at present and no effective solution to the problem of inefficient fertiliser subsidies is envisaged for now. Schumpeter's famous observation about "creative destruction" is mentioned, but there appears to be a great reluctance to actually implement policies that destroy existing vested interests for the greater good of the greatest numbers. Bhagwati and Panagariya in their book India's Tryst With Destiny highlight the urgent need for reform of "a multitude of labour laws" to get Indian manufacturing on the fast track, to increase formal employment in the formal manufacturing sector, using relatively labour intensive technology in mid- to large-sized firms. After some initial pronouncements about labour reforms, however, the central Government seems to have left it to states to test the political waters with such reforms. And apparently the waters are too hot for New Delhi to venture into. So is Make in India to be confined to the existing pattern of "capital intensive and skilled labour intensive" industrial growth that does not drain the large unskilled labour pool in agriculture to productive employment in industry? The ES helpfully tells us that the power of vested interests is aggravated by an "asymmetry that confers greater power to concentrated... interests in relation to... diffused interests". Are labour law reforms subject to the Pareto Principle with organised trade unions holding the efficient growth of the manufacturing sector hostage? With Dr Panagariya now firmly ensconced in the Niti Ayog, one would have expected a different outcome. The Survey uses Acemoglu, D and JA Robinson's Why Nations Fail: The Origins of Power, Prosperity and Poverty and associated literature to estimate India's growth potential. In the face of all the academic algebra, it is perhaps foolhardy to question the basis of determining the value of the 'democracy index' used in the estimation exercise. Institutions matter enormously and the Survey a little way down from Page 5, where it gives a very high value to India's "democracy index", emphasises the weakness of various institutions in India that limit the ability to push reforms through (on Page 45, "Another stark example of weak institutions is simply the inability to punish willful defaulters"). More importantly, however, is what the Survey does not say - the most important conclusions of Acemoglu and Robinson. The authors emphasise that inclusive political and economic institutions support and incentivise development and prosperity. They state that "inclusive institutions are based on constraints on the exercise of power and on a pluralistic distribution of political power in society, enshrined in the rule of law. "The ability of a subset to impose its will on others without any constraints, even if those others are ordinary citizens . threatens this very balance." (Why Nations Fail, Page 308). They go on to underline the fact that electoral democracy does not, by itself, guarantee inclusive institutions. ". democracy is no guarantee that there will be pluralism. The contrast of the development of pluralistic institutions in Brazil to the Venezuelan experience is telling in this context. Venezuela also transitioned to democracy after 1958, but this happened without empowerment at the grass-roots level and did not create a pluralistic distribution of political power. Instead, corrupt politics, patronage networks, and conflict persisted in Venezuela" (Page 460). "the presence of markets is not by itself a guarantee of inclusive institutions. Markets can be dominated by a few firms, charging exorbitant prices and blocking the entry of more efficient rivals and new technologies. Markets, left to their own devices, can cease to be inclusive, becoming increasingly dominated by the economically and politically powerful. Is Make in India to be confined to existing 'capital intensive, skilled labour intensive' growth? Professors Acemoglu and Robinson do indeed have a great deal of wisdom to offer. Perhaps our policy makers would do well to reread Why Nations Fail.